Ah, the dreaded job search. We’ve all had to look for employment at some point in our lives and, if you ask most people, many will recall feeling stressed, overwhelmed, uncertain and at times, even distraught. So, what is it about searching for a job that evokes these negative feelings? And is there anything job seekers can do to alleviate these feelings? As with anything else, preparation is key! In order to reduce the pressures of the job search process, you’ve got to go about it the right way. Here are some guidelines to help you do it right. Before you start applying for jobs, you want to get yourself organized! Make sure you update your resume, create a few different cover letters that are tailored to the jobs you wish to apply for and update your LinkedIn profile (don’t have a LinkedIn profile? It’s a good idea to get that set up asap!). You will waste time in your job search process if you leave these things until the last minute, so take the time to get them all done. It’s also a good idea to get your 30-second pitch down, as it will serve you well in case of an impromptu phone interview or chance encounter with your future boss. What is a 30-second elevator pitch? It’s a short 30-second version of who you are and what you are all about. It’s called an elevator pitch because you only have the time it takes to get from the lobby to the floor selected to introduce yourself. It’s short, meaningful, interesting and all about YOU. Oh, and don’t forget to get in touch with your references to let them know they may be expecting a call in the near future and fill them in on any important details. 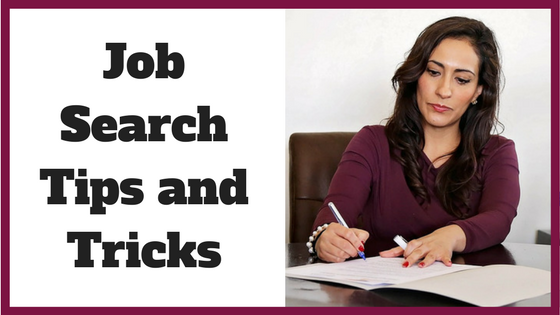 You’ll also want to keep your job search efforts organized to avoid wasting precious time during the process. An organized system that tracks all your job search activity and dates will help you with your goal of getting your dream job faster and more efficiently. When you apply for a job, write down the details for future reference – including the date of contact, contact details, company information and the source of the job posting. This not only means you’ll be prepared if they call you for a job interview, you’ll know who you need to follow up with and already have their contact details on hand. Now that you have all of your ducks in a row, you can start searching for, and applying to, your desired jobs. There are a ton of great job sites out there to start with – such as Monster, Glassdoor, Indeed and LinkedIn. You can easily upload your resume to most job search websites, making it easy to apply for jobs at the click of a button. When it comes to applying for jobs on the various sites, quality is often better than quantity – meaning that you shouldn’t just apply for anything and everything you see. In fact, you should avoid overdoing the application process, as it will make it harder to keep everything organized. What’s more, if you apply for a ton of jobs at once, you won’t give each one the time it deserves. You should treat each job you apply for with special care – research the company and role and tailor your resume and cover letter to that job, working in keywords from the job posting into both documents. If you are looking to make a career transition to another industry, LinkedIn is a fantastic resource – not only does it have a ton of job postings, it is a great tool for growing your professional network, connecting with professionals in your desired field and setting up informational interviews to gain more insight into the industry and your desired career. When it comes to finding a job, many of us rely solely on the aforementioned online job boards. However, there a ton of unique ways to find a job that are often overlooked. In fact, tapping into the hidden job market may land you a job faster than you would through those regular channels, where you are competing with hundreds of other job seekers. What is the hidden job market? It’s a term used to describe jobs that aren’t advertised or posted online. Set up an informational interview – Informational interviews are one of the best ways to discover what careers are available in your communities and how they may (or may not!) work for you, explains career coach Mary Kruger. The information you can gain from informational interviews can provide you with so much more than what you can get from social media or the internet. Volunteer or intern at the company – Another way to gain access to the hidden job market is through volunteering at organizations of interest.“Volunteering has led to paid employment for several of my clients, sometimes with the organization itself and often through contacts made while volunteering on boards or in direct service roles for nonprofits, community efforts or industry associations,” explains career coach Sally Anne Giedrys.If the company offers internships, even better! When you engage in your desired industry and work for a company as an intern, you show your dedication to that career and enthusiasm for the job. Dedication and enthusiasm are two important qualities that employers look for in candidates, so interns get a competitive advantage by gaining the experience and particular skills needed for the job. What’s more, you make connections in your industry of interest. (Here are some tips to help you turn an internship into a full-time job). Do freelance or consulting work in the industry – “Freelance or consulting work has led to full-time employment offers for several of my clients (again, an experience I also had myself when working as a consultant),” Sally says. If you have done your due diligence during the application process, you are likely going to start getting calls from companies and recruiters to set up either a phone or in-person interviews. Great! So, how do you ensure it goes smoothly? Again, preparation is key. Do your research about the company and your interviewer, write down some questions you expect to be asked and prepare your answers, rehearse in front of a mirror or with a friend and prepare a few questions you would like to ask the interviewer – the more specific, the better. The more prepared you are, the less likely you’ll be stumped when asked why you want to work for them or stumble over the common “tell me something about yourself” interview question so many job seekers have failed to perfect. You’ll also want to practice your hand shake and assess your body language, either by doing a mock interview in front of the mirror, asking a friend to help you or enlisting the help of a professional career coach. Having the wrong body language during an interview can send all the wrong signals, so be aware of any nonverbal mistakes you might make. Think positive – Thinking of the positives can work to calm your anxiousness a lot. Remember, you were invited to the interview, which means that you have already impressed to the hiring manager or recruiter enough to get you past the first stages, whereas hundreds of others didn’t make it past the screening process. Focus on your skills and your experience. Talk positively – Don’t try to look overconfident, especially if you’re nervous: most likely, it will look as if you’re faking it and the interviewer will see right through the act. What’s more, you don’t want to look like you’re too desperate to get this job (even if it’s true). If you still feel nervous, don’t focus on that feeling – instead, let those nerves translate into excitement for the job and the company.And remember, the interviewers understand that candidates are humans and that we all get a little bit nervous when put on the spot. Breathe – Even if you are prepared and do your best to stay positive, an unexpected stress still might strike right before an interview, making it hard for you to concentrate and to remember what do you have to say. In this case, breathing is the quickest solution – try slowing down your breathing, even counting your breaths if it helps. Spend time with animals or children – When we spend time with (or even think about) animals or children, our stress immediately decreases and we begin emitting positive energy. This happens because our brain releases the stress-reducing hormone called oxytocin, which helps relieve stress and anxiety. Practice power poses – To feel more confident before and during your interview, you can practice power poses. When we spread out our bodies, open our arms and take up space we are asserting our power to those around us. In contrast, closing up your body, crossing your arms and legs or facing your head downwards creates a defensive expression which defers to those around you. Just two minutes of power poses can lead to changes in the balance of these hormones, demonstrating that we can induce and alter whether we feel relaxed, powerful or stressed through the simple use of our body language. During the interviewing stage of your job search, it’s also important to remember that your own values, goals and lifestyle are also important. “If you are looking to create a career or build longevity with a company, it is critical that you make sure the company, manager and peers you could potentially be working with meet your requirements as well,” explains career coach Tonya Echols. One step that is often neglected during the job search process is following up, even though it can often mean the difference between being hired or not. Career coach Mary Kruger considers following up the secret sauce in job search success, as it is “the key to getting noticed” and the difference between a so-so job searcher and one that is proactive, positive and eager to work. So, why don’t people follow up? It could be a number of things. Perhaps they don’t know how to follow up, what to say or do; they think by following up they are being pushy, a pest or bothering the employer; are scared to follow up; or they fear rejection. Thinking of hiring a career coach to help you with the job search process? Browse our directory of career coaches and get a FREE consultation or request a personalized coach recommendation!